Do you have an e-commerce website that showcases your amazing products? Or do you have a site that shows off the expert services you offer clients? If your answer to either of these questions is “yes”, then guess what? You need to be using social media for your business. Tip 1: Share Your Website Content To Your Social Media Platforms. Let’s start with the obvious. You need to utilize your social media platforms to share articles or other forms of content related to your business website. And really, the best way to do this is with a blog. If your website doesn’t have a blog, now is the perfect time to create one. Whether you have a website that focuses on your services or your products – a blog is the way to go. It will provide you with plenty of resources that you can share with your social media followers. Tip 2: Build A Branded Facebook Page. Facebook is one of the most powerful social media platforms that businesses can use. It isn’t without its challenges though… especially when you’re trying to stand out from a sea of business pages just like yours. Everyone wants to increase their followers and convert them into customers. What’s the secret to success? In our opinion, it’s in how you brand your page. We’re talking about doing some serious research to get to know your target audience. Once you know who you want to market to, define your mission in your profile. Tell people what makes your company better than than the competition, and show them in your posts that you’re the authority in your niche. Make sure that your style and voice are always consistent. In the end, a branded Facebook page will not only boost your rankings on search engines (yes, social media is also a ranking factor on Google), but it will also give your business more credibility. Tip 3: Consider Starting A Facebook Group. Once your branded Facebook page is up and running and you have a good amount of time to invest, think about creating a Facebook group for your business. We like to think of Facebook groups as communities of people who are all interested in the same topics. For example, we created our own Facebook group called Let’s Increase Sales. It’s a top spot for business owners to chat about anything business-related, share stories and help each other grow. A group gives past, current and potential customers a place to come together. Typically a group is not a stage to promote your products and services. Instead, it’s a very powerful tool to help you create an engaged community around the topics that matter to your business. Quick note: Join our Facebook group for business owners and learn awesome marketing tips and tricks to help you increase your sales! Tip 4: Build Your Twitter and Instagram Profiles, Too! When promoting your business on platforms like Twitter and Instagram, don’t overlook the profile sections! It’s key that you include your URL in your profile for each platform, otherwise these precious little spaces are put to waste. In addition to your URL, add a short bio along with other important details about your business. Look at your bio as the primary space for you to establish your brand. Make it consistent with the images that you post. Tip 5: Don’t Forget About YouTube. YouTube is one of the most popular websites online. This isn’t a surprise given how video content is and will continue to be one of the most effective ways to promote businesses. That said… If you have a YouTube channel, optimize it! To do this, add content regularly. The content can be a walk through of how to use your products, a behind-the-scenes look at your business, a teaser about upcoming products or even a Q&A session. This type of video content will resonate with your audience. For even more reach, you can add your YouTube videos to your blog posts or you can share them to your other social media channels. Tip 6: Create A Company Page On LinkedIn And Join Groups. LinkedIn is a social network for professionals, and a great way to meet like-minded people in your industry. It’s also a prime spot to build a company page for your business posts. We recommend adding a link to your website on your profile for your personal page and your company page. To maximize your ability to bring in social media traffic via LinkedIn, join and share to LinkedIn groups that are related to your niche. These groups can help you discover other professionals in your industry who may want to connect with you. Tip 7: If You Have A Blog, Get On Pinterest NOW! Pinterest has huge potential for driving traffic to your website – especially if you have a blog. Just like Instagram, it’s a visual-driven marketing platform. Spend some time developing compelling visual images that you can use to prompt your audience to respond to or share your content. Posts that show people how to do something are especially popular on Pinterest. Of course, we can’t talk about Pinterest without mentioning Tailwind and Tailwind Tribes. 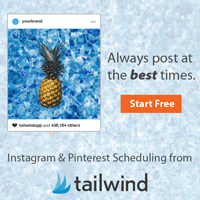 If you’re not familiar with it already, Tailwind is an awesome platform that allows you to schedule your pins at the best times. Tailwind has its own set of groups called Tailwind Tribes. These groups are excellent places to pin your content for even more exposure. After all, the more people who see your pins, the greater the chance they will be re-pinned and bring traffic to your website! Tip 8: Share on Google+ Every Time. It’s a proven fact that sharing your posts on Google+ will help improve your search rankings. This is because the more Google+ activity you have, the more Google sees you as a viable source of information. To boost traffic to your website from Google+, consider adding relevant hashtags – as these will help to increase your visibility. If you want even more exposure, you can join Google+ Communities that are built upon similar interests and industries. Tip 9: Make Social Media Sharing Easy. Getting others to share your content to their social media pages can grow your website traffic exponentially. To do this, make sure your social share buttons are noticeable on your website and blog pages. 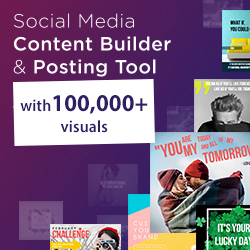 This will make it easy for your visitors to share your content. Tip 10: Keep It Short And Sweet… And Always Use Visuals! One of the reasons that Twitter instantly became a hit when it launched was because of its character limit. No matter what social media platform you’re posting on, shorter text length in the post is better. When posting on any social media platform, always attach an image or video that does the talking for you. Choose visually compelling images that are attractive and branded. The image or video that goes along with the text should be the element that compels your audience to learn more or to buy. Tip 11: Add Value, Not A Sales Pitch. When sharing content, try to avoid too much self-promotion. Instead, focus on providing value to your followers. The majority of your customers will start their purchasing journeys on social media. However, a huge percentage of them won’t be coming in with the intent of buying. Don’t turn them off by trying too hard to sell. Have you ever noticed that an emoji used on a social media post can sometimes express more than words can say? It’s true. Adding emojis to your social media posts also makes them more visually appealing, and this is part of the reason they’re so popular. While we do recommend using emojis, try not to overdo it! Tip 13: Highlight A Call To Action. Who said that calls to action (CTAs) were only good for blog posts? CTAs should also be incorporated into your social media posts. A call to action includes asking your followers to comment, to respond to a poll, to like or share your post or to click on an article that you shared. Tip 14: Interact with Followers. The ability to interact with your target audience is one of the reasons why social media marketing is highly successful. While this should be an obvious part of any marketing plan, there are actually a lot of companies that neglect starting conversations. If you’re not interacting now, it’s time to start! Interaction can include responding to comments, asking your followers questions or asking for feedback. It’s really a great way to show your followers that you have their best interests in mind. Over time, you’ll be able to establish a certain level of trust with them as well. The use of the hashtag initially started on Twitter and then eventually branched out into other social media platforms. Hashtags were developed to make it easier to browse through content when searching for a particular topic, and they’re a great way to maximize the potential reach of your posts. The key to driving more traffic to your website is using the right hashtags. That’s why it’s good practice to research some of the top trending general hashtags in your niche, as well as branded hashtags. You can also do a competitor analysis on the hashtags your competition is using. This will enable you to get a share of their reach on social media! While these 15 strategies do not guarantee results, they’re definitely a super starting point. Just don’t forget: Social media traffic can only be produced if you build relationships. After all, relationships are the core of social media marketing! If you need any help at all, don’t hesitate to contact us! We’re social media marketing gurus who would love to help you take your business to the next level! We offer a wide variety of affordable social media marketing packages to fit the needs of any size or type of company.